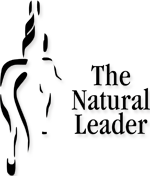 The Natural Leader offers programs year round in Calgary & Edmonton, Alberta in the comfort of a heated indoor arena. Seasonally outdoors west of Cochrane AB at the fabulous The Crossing on Ghost River. Leadership or Team Learning programs for groups of 8 to 25 for Exceptional one-to-one experiences.